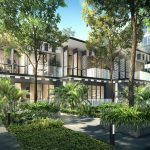 The Verandah Residences is a rather nice new freehold development, located in one of the most overlooked parts of Singapore, with probably one of the best potential upside. It sits in the south-west coast of Singapore, along Pasir Panjang Road. Pasir Panjang means “long sand” in Malay, referring to a stretch of beach that ran along Singapore’s south-west coast in the late 1800s. It is pretty close to the CBD and several research / business parks, with lots of nature reserves too. Currently the Pasir Panjang Port is off the coast here, but that is set to change. Under URA’s master plan, the port is slated to move to Tuas when its lease runs out in 2027. In its place, along the coast, will rise the Greater Southern Waterfront City, that will link all the way to Shenton Way. The Verandah Residences, being just next to this Waterfront City, should see its value rise in tandem then. Meanwhile, this estate is less crowded and more peaceful than most other estates of Singapore, which some feel is what makes it so attractive. Part of its attractiveness is also due to its low-rise private residential character, that gives it a soothing quality. 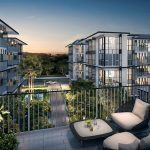 The design of The Verandah Residences draws its inspiration from the stately old black-and-white colonial bungalows, some of which can still be seen in the vicinity, that gives it a charm reminiscent of an older, more gracious age. A nice place to come home to and relax in, and sets it apart from most condos around. The size of the Verandah Residence is good too. 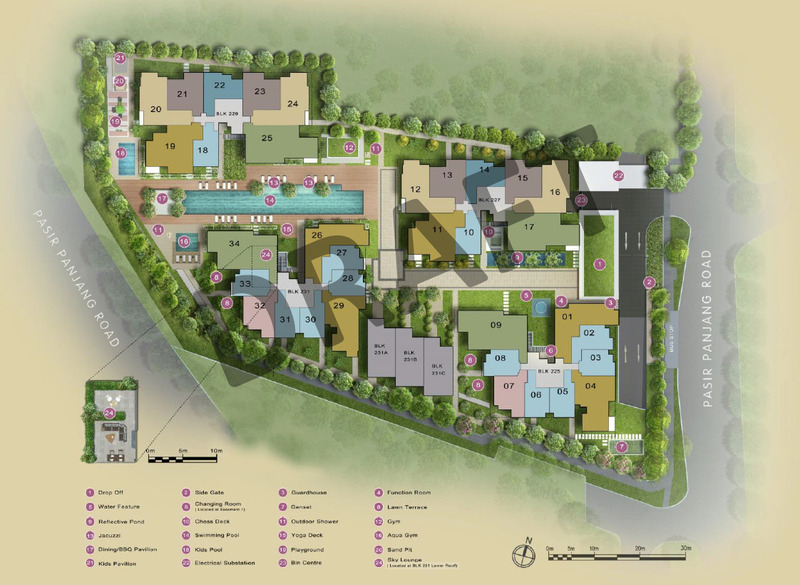 At 170 units on nearly 90,000 sq ft of land, it is small enough to encourage neighbourliness and a cosy sense of community, but not too small to support a good range of facilities. The other attractive thing about this area is that it is in a green belt of nature reserves, with lots of greenery. Yet close to business centres, tertiary and research institutions, and major science parks that form a huge tenant pool. 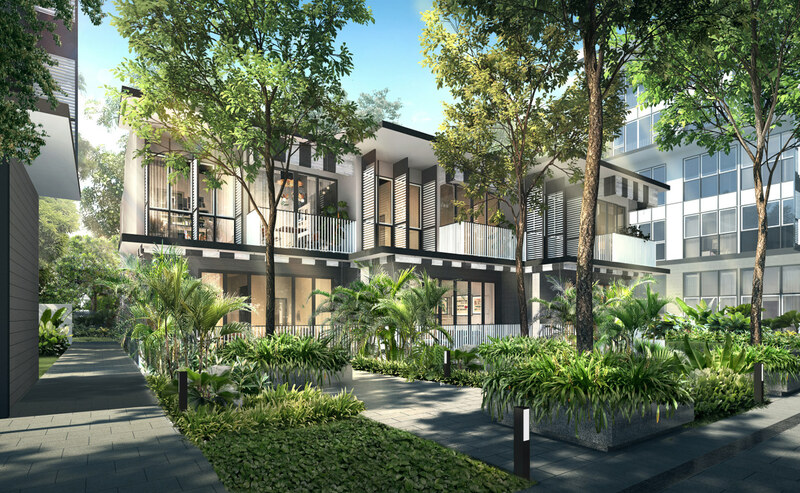 With so much going for it, including an MRT station nearby, the Verandah Residences is likely to be one of the fastest launches to sell out in 2018. 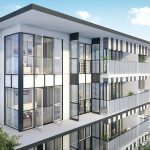 Especially given its relatively small number of units and rare freehold tenure. The black-and-white bungalows were built by the British Administration between 1903-1928 to house the wealthy expatriate families, and were well adapted for tropical living. With elements like pitched roofs and wide overhanging eaves due to the rainy tropical weather, large verandahs that draw in cooling air and often served as semi-indoor/outdoor living rooms, and a generally open facade and spacious rooms. Today black-and-whites can be seen in places like Nassim Road, Chatsworth Park, Seton Close, Goodwood Hill, and Alexandra Park. Some are beautifully renovated and rent for huge sums, often to expatriate heads of MNCs. Project Account Maybank for Project Account No. 04013017718 of Oxley Amber Pte. Ltd. The draft floor plans are now available. 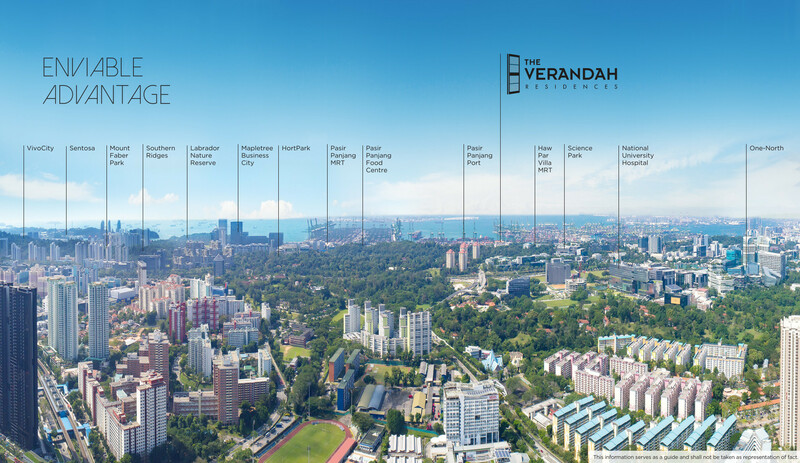 Kindly drop us a note below if you wish for the Verandah Residences floor plans to be emailed to you. In addition, here is a handy compilation of the features of the neighbourhood. Like where the yummy foods are, and the walking trails around the surrounding nature parks with some hidden gems, the heritage trails, and of course the shops and malls for retail therapy! Just click to view it in new window (7.7MB). The units are mostly orientated in a north-south direction to catch the prevailing breezes, and to minimise exposure to the hot afternoon sun. There is a basement carpark, which frees up much of the ground level for pools and gardens. Plenty of pleasant landscaping in between the blocks. 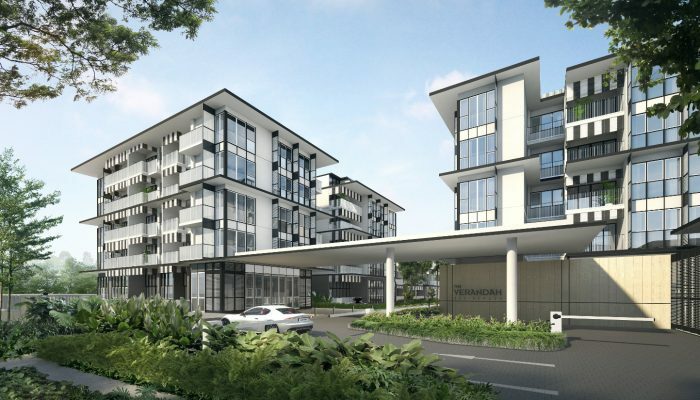 The Verandah Residences showflat showcases a 1 bedroom + study and a 4 bedroom unit. Please drop us a note below if you wish to view the showflat or know more about units available and pricing updates. Here is the status as at 9 May 2018. 94% sold. 10 units left. Please drop us a note below if you wish to be updated on the prices and availability. 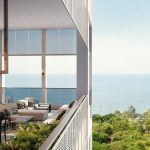 The Verandah condo is on a freehold title. In general, freehold property in Singapore fetches a 20% to 30% price premium over 99 year leasehold property. There are good reasons for this. Scarcity. Freehold property is diminishing, both in actual numbers (though only slightly), and definitely in relation to 99 year leasehold property. This is because all government land sales are for 99 year leases only. Even when the government acquires a freehold site eg. to build a road, if they re-sell any unused part later, it is on 99 year lease. You can (theoretically at least) hold freehold land forever, in perpetuity. This makes it ideal for wealth preservation, and passing on to future generations and for passive income for them. Freehold property keeps its value well, as it does not depreciate, since there is no lessening of tenure. 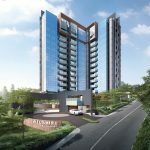 So should you decide to sell say, 50 years later, your buyer would not face any restrictions on using his CPF funds or getting a bank loan, unlike potentially for 99 year leasehold property. Freehold land also fetches a better price in the event of future enbloc sale, perhaps 30 years down the road. For one thing, there will be no need to pay the government for a lease top-up. 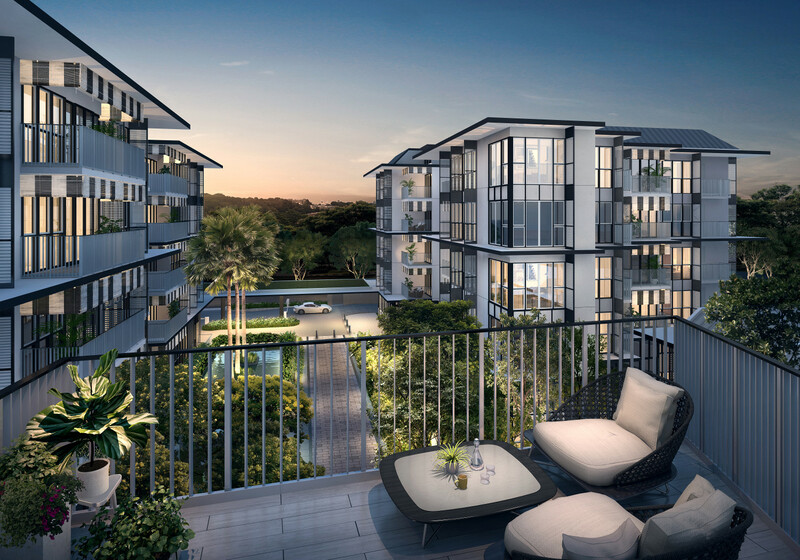 The Verandah condo is being developed by Oxley Holdings, currently one of Singapore’s most prolific developers, with a market capitalisation of close to $2 billion as at January 2018. They have also as of this date built over 1,635 homes in Singapore, and won several development & design awards, including for its Royal Wharf project in London (2015). 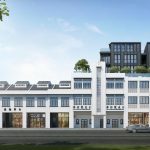 Oxley Holdings Limited is a home-grown Singaporean property developer, engaged mainly in property investment and development. 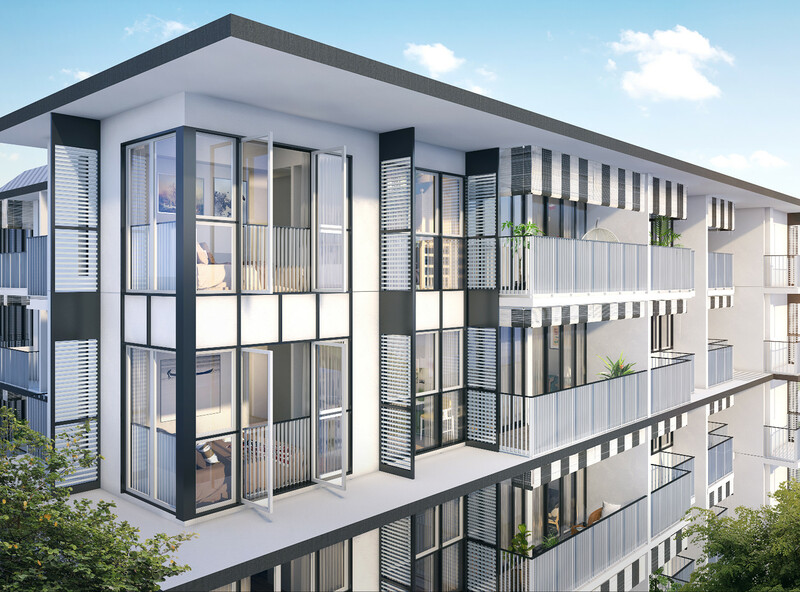 Key elements of the Group’s choice of developments are prime locations and desirable lifestyle features. From a small start it has grown exponentially, to the point that it now has a presence both locally and overseas, across 12 geographical markets. 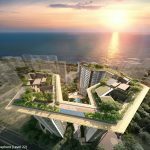 Its portfolio comprises residential, commercial and industrial projects in Singapore, Malaysia, Indonesia, China, the United Kingdom, Australia, Japan, Ireland, Cyprus, Cambodia, Myanmar and Vietnam. 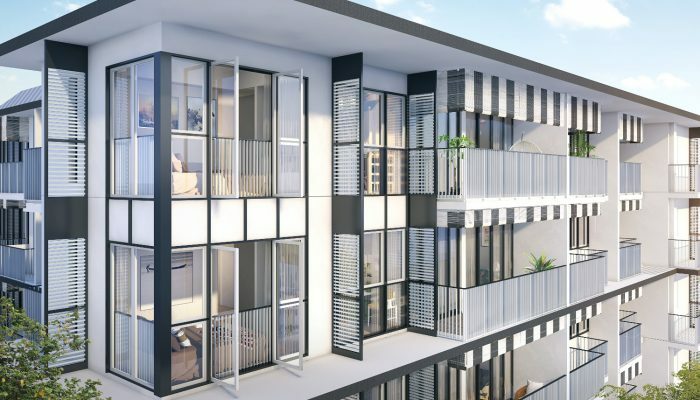 As part of its strategic expansion, Oxley has entered into partnerships with reputable local and overseas developers, as well as business partners. In 2013 the Group acquired a 20% stake in Galliard (Group) Limited in the UK. 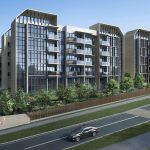 Galliard is a leading property development, hospitality and management group overseeing a wide range of developments across London and Southern England. 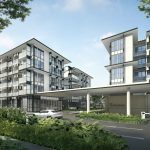 Since then, Oxley has also acquired a 40% stake in Pindan Group Pty Ltd, an integrated project group based in Western Australia, and a 15% stake in United Engineers, a Singapore property development and engineering company founded in 1912. Location. 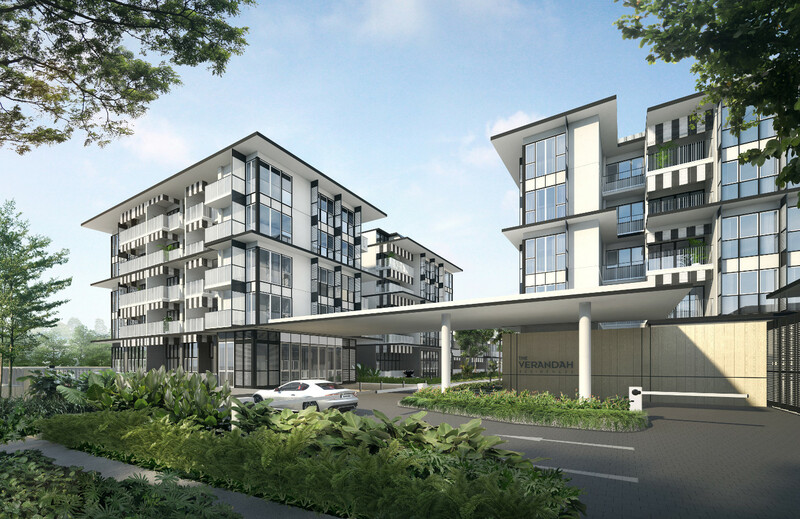 Located in District 05, along Pasir Panjang road. A low-density private residential area: it basically only has private homes, including apartments, condos, landed houses and cluster houses. So in ambience, it is rather like parts of Katong and Upper Bukit Timah. 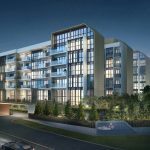 This neighbourhood ranks historically almost on par with District 15, but is just lesser known as there as fewer developments here. Nearest MRT Station. About 540 metres walk from the Haw Par Villa MRT station on the Circle Line. Business Centres. This area is actually nearer to the city centre than most people realise. It is 15 minutes drive to the CBD & Marina Bay. But even nearer are many business hubs: the Mapletree Business City (5 minutes), One North (9 minutes), International Business Park. These last 3 alone account for over 50,000 jobs – lots of potential buyers or tenants here. Shopping, Supermarkets, Food. 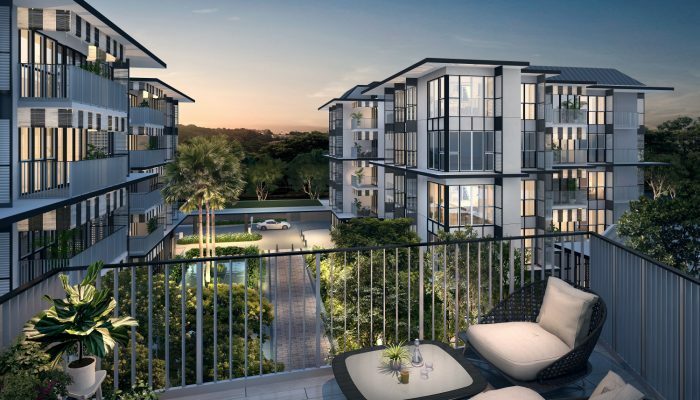 The Verandah Residence condo won’t lack for amenities. 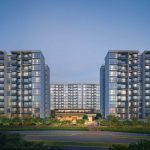 There are plenty of shopping options: Viva Vista across the road, Alexandra Retail Centre (6 minutes drive), Vivo City (10 minutes), Star Vista (9 minutes), Holland Village (10 minutes), and of course Orchard Road (15 minutes). And the delectable mix of speciality cafes and restaurants scattered along South Buona Vista and Pasir Panjang Roads – just download the neighbourhood guide above. Educational Institutions. If there is one thing that Pasir Panjang is known for, it is for its strong education scene: the National University of Singapore, United World College, the ISS International School (Preston campus), ACS Independent. Parks & Nature Reserves. 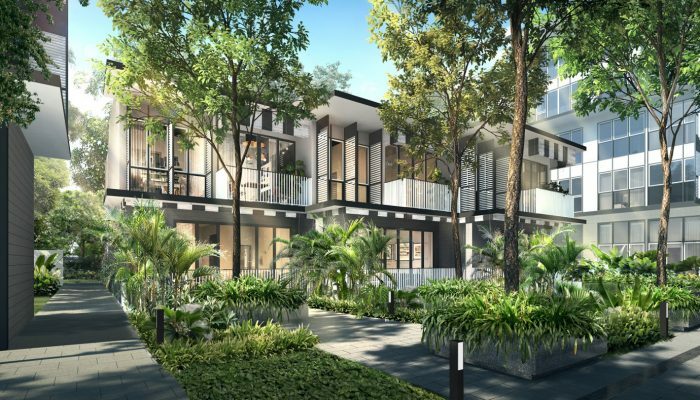 The Verandah Residences condo is in the vicinity of some of the nicest belts of greenery in Singapore: the Southern Ridges Green belt, that stretches from Kent Ridge Park, through HortPark, Telok Blangah Hill Park, to Mount Faber Park. As well as the Labrador Nature Reserve & Coastal Walk. Accessibility. 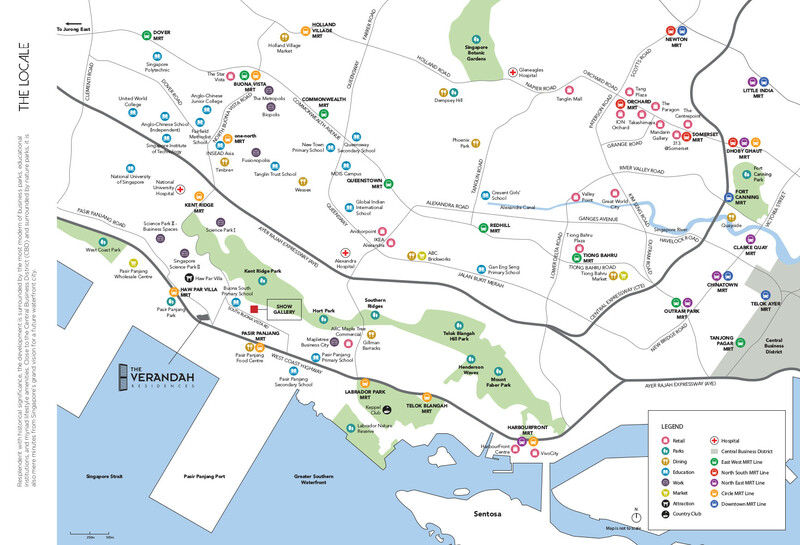 Easy access to other parts of Singapore via the West Coast Highway, and the Ayer Rajah Expressway (AYE). By 2027, the government plans to transform the area around Tanjong Pagar and Pasir Panjang into a waterfront city covering 1000 hectares of land, 2.5 times the size of Marina Bay, called the Greater Southern Waterfront. With a continuous 30-km nature trail connecting Labrador Park on one end, to Gardens by the Bay on the other. Developer units here are Sold Out. But do drop us a line if keen to buy resale units.